Every week, I scour the web to find inspiring outfits on your favorite celebs and help you recreate their looks! This week, I was inspired by Sienna Miller, Hilary Duff, and Olivia Munn. Read on to see how you can get their looks for yourself. Actress Sienna Miller was spotted out and about in a trendy wintertime look perfect for chilly days. Sienna wore a green parka jacket with skinny jeans and a beige and black checked scarf. She also carried a red bag which matched the red laces of her brown winter boots. This green parka jacket with a faux fur trimmed hood is a great dupe for Sienna’s. Wear it with some skinny jeans and a checked scarf for this laid-back daytime look. 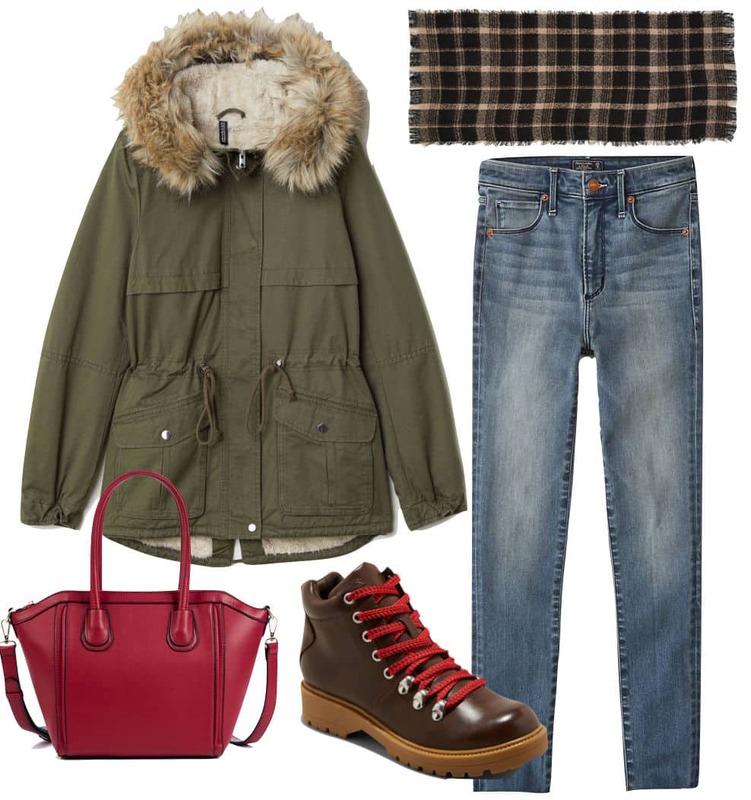 Hiker boots are a major trend this season, and these boots feature red laces like Sienna’s, which give them bonus style points; plus, they’re great for winter weather. Take a cue from Sienna and match your handbag to the red laces to pull the ensemble together in a cohesive way. Hilary Duff wore a simple yet on-trend look featuring step-hem straight leg jeans. While out in L.A., Hilary paired her denim with a basic black crewneck sweater and black ankle booties. She accessorized with round sunglasses and a black and silver Western-inspired belt. 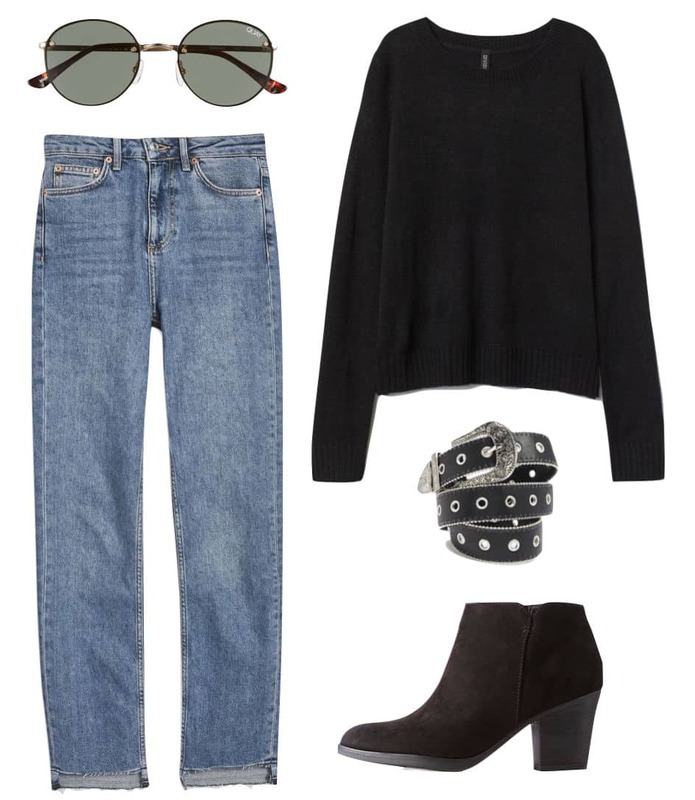 Get Hilary’s look with a pair of step-hem straight leg jeans and a basic black crewneck sweater, which is a wardrobe staple. Bring the outfit together with black ankle booties and a black and silver Western-inspired belt. If you’re heading out during the daytime, throw on some round sunnies for a final trendy touch. 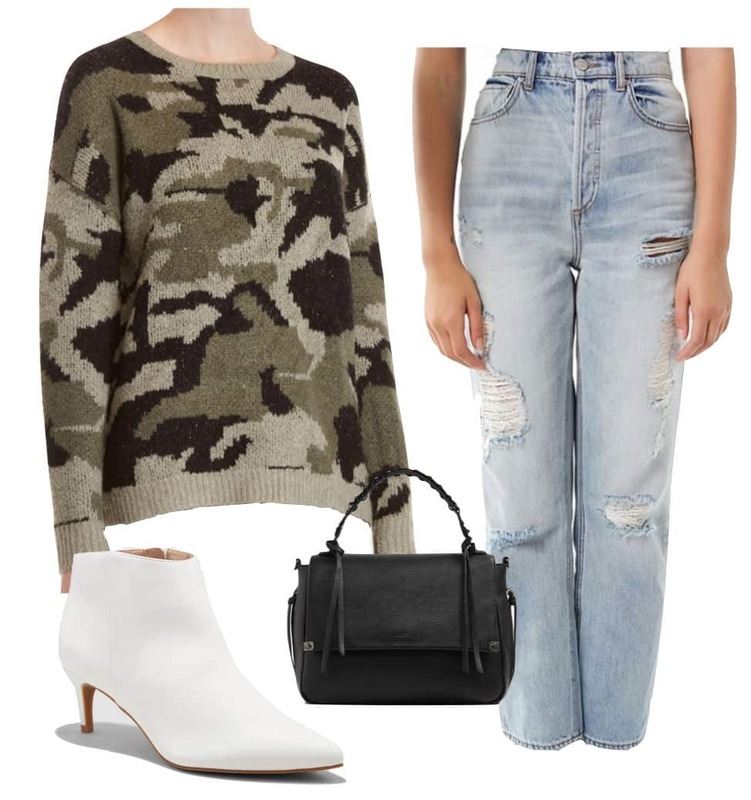 Olivia Munn headed out on the town in a cool, laid-back look consisting of destroyed straight leg jeans and a cropped camouflage sweater. Olivia also wore some trendy white booties and carried a black handbag, keeping her outfit simple yet statement-making. Opt for straight leg jeans with lots of distressing and ripped details to get Olivia’s laid-back look. Pair them with a camouflage printed sweater and some white ankle booties (these are from Target!) to amp up the trendy factor. Complete the ensemble with a chic black top-handle bag.